Made with over 30 points of articulation, fans can pose and recreate their favorite scene with the included accessories. 1x One:12 Collective display base with logo. 1x One:12 Collective magnetic display clip. Mezco One 12 Deadpool authentic is complete with all accessories and stand no box. Loose marvel select juggernaut with minor scuffs and marvel legends invisible girl and herbie unopened. These come from a smoke free home. Shipped Free in USA onlybwith USPS Priority Mail. His outfit boasts a leather-like black trench coat with an integrated wire for dynamic posing, as well as a tailored three-quarter sleeve t-shirt and motorcycle style pants. Blade, vampire hunter of the Marvel Universe, joins the One:12 Collective. The One:12 Collective has brought to life Blade from his Marvel Comics origins to a beautiful window box. His outfit boasts a leather-like black trench coat with an integrated wire for dynamic posing, as well as a tailored three-quarter sleeve t-shirt and motorcycle style pants. Mezco One:12 Collective Spider-Man Homecoming Tech Suit Figure. Condition is New. Shipped with USPS Priority Mail. MEZCO TOYS ONE 12 COLLECTIVE Batman Sovereign Knight 6 inch figure PRESALE NEW! Fear not for. Every Knight has a beginning and the One:12 Collective’s Batman starts here. Batman—Ascending Knight is part of a trilogy: A beginning, a middle and an end. The Ascending Knight is Batman in his first year; designed to be contemporary but still have a first appearance feel. DC Universe Classics wave 3 Solomon Grundy DEATHSTROKE loose complete mezco. Condition is New. No returns. United states bidders only. Shipped with USPS First Class Package. 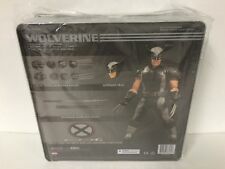 Mezco One 12 PX Previews Exclusive WOLVERINE X-Force Complete In Box. Condition is Used. Shipped with USPS Priority Mail. "I am Iron Man.". 1x One:12 Collective display base with logo. 1x head portrait with movable faceplate. 2x foot booster effects. 2x hand booster effects. From the movie Hellboy II: The Golden Army. Toynk was started in the fall of 2001. All of these stats are as of April 2006. Never submit an order that is not entirely correct. We are located in Addison, Illinois (about 15 miles from Chicago city limits). Mezco one 12 knightmare Batman V Superman Dawn Of Justice DC Comics figure. Condition is like-new, but blast effect is missing. To compensate, i have added in a small diorama base. Shipped with USPS Priority Mail. 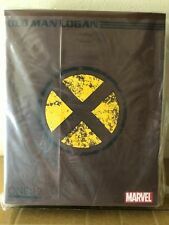 Mezco toys ONE:12 COLLECTIVE Cyclops X-men 6 inch action figure PRESALE NEW! The born leader and gifted hero is outfitted in an aramid fiber x-suit with a utility belt and harness, and a removable leather-like jacket. MAP (Minimum Advertised Price) pricing is MANDATORY for ALL One:12 Collective product. Mezco ONE 12 COLLECTIVE Spider-Man Homecoming 6 " figure IN STOCK SHIPPING NOW! MAP (Minimum Advertised Price) pricing is MANDATORY for ALL One:12 Collective product. With a comprehensively detailed film-accurate outfit and unique character specific accessories. Newly designed One:12 Collective body with over 30 points of articulation. Mezco One:12 Marvel Deadpool X-Force Previews Exclusive Action Figure. Mezco One:12 Collective Iron Man Marvel Action Figure. Condition is New Unopened. Mezco Flash One:12. Condition is Used. Shipped with USPS Priority Mail. Figure is complete in box. This is an Authentic Mezco figure. Any questions please ask. Thanks for looking. mezco doctor strange nycc Brand New Never Opened. Condition is New. Shipped with USPS Priority Mail. MAP (Minimum Advertised Price) pricing is MANDATORY for ALL One:12 Collective product. One:12 Collective body with over 28 points of articulation. Seven (7) interchangeable hands. Two (2) head portraits. With a comprehensively detailed film-accurate outfit and unique character specific accessories. Newly designed One:12 Collective body with over 30 points of articulation. One (1) One:12 Collective display base with logo. Mezco One 12 Collective Doctor Strange. The figure is in perfect condition, with the only flaw being in the cape, with both of the bendy wires and one of the magnets having come unattached. Comes with all original accessories and packaging. The One:12 Collective has brought to life Iron Man from his original comic origins to a beautiful window box. Iron Man, the secret identity of Tony Stark, blasts his way into the One:12 Collective. Billionaire inventor and arms manufacturer, Tony Stark, suffers a severe chest injury while being held captive by enemy forces. Mezco one:12 collective head Batman Beyond 1:12. Condition is Used. Mezco one:12 Collective PX Punisher Accessories Belt w Knife . Condition is New. His outfit boasts a leather-like black trench coat with an integrated wire for dynamic posing, as well as a tailored three-quarter sleeve T-shirt and motorcycle style pants. 1x Sword with removable magnetic sheath. HELLBOY 2 BPRD BUDDIES. (from HBII B.P.R.D. Buddies : Prince Nuada & Wink ). CONDITION (“A picture is worth a thousand words.”). - I have been acomic fanboy for nearly 30 years. Mezco One:12 Collective Deathstroke Normal Version . Condition is Used. Shipped with USPS Priority Mail. Hey guys! The figure is in complete and in great condition. It comes from a smoke free home. Any questions please feel free to ask! NEW Mezco One:12 Purple Suit Catwoman - Batman Day Exclusive - Hot Toys quality! MEZCO DEADPOOL ONE:12 FIGURE X-MEN EXCLUSIVE RARE! MUST SEE! The box was only opened to take these photos, what you see in the pictures is exactly what you will be getting! Mezco one 12 Wolverine And Commander Rodgers. Condition is Used. Brefiley displayed all and complete. Shipped with USPS Priority Mail. Mezco One:12 Collective Onyx Batman Sonic Distributor and Grappling Gun (no Hook). Condition is Used. Shipped with USPS Priority Mail. The One:12 Collective Batman: Sovereign Knight – Onyx Edition features exclusively designed Bat-Suit body armor detail and a reinforced breast plate bat insignia. One:12 Collective body with over 30 points of articulation. Trending at $187.47eBay determines this price through a machine learned model of the product's sale prices within the last 90 days. NEW MEZCO EXCLUSIVE PUNISHER SPECIAL OPS ONE:12 COLLECTIVE. Condition is New. Shipped with USPS Priority Mail. MIB Mezco Toyz One:12 BLADE 6" Action Figure + FREE Shipping. WOW! His outfit boasts a leather-like black trench coat with an integrated wire for dynamic posing, as well as a tailored three-quarter sleeve t-shirt and motorcycle style pants. One (1) sword with removable magnetic sheath. Mezco Toyz One:12 Collective BLADE Marvel Figure 6”. Condition is New. Shipped with USPS Priority Mail. Mez-Itz 2" Scale Batmobile & Batman, Dark Knight Rises, Tumbler,DC ,New,NM! Mezco MEZ-ITZ 1989 Batman 2017 SDCC Exclusive new MIB SEALED! Mezco Living Dead Dolls Classic Harley Quinn 10 INCH DOLL (masked) new SEALED! MEZCO TOYZ MEZ-ITZ DC Universe Mini Mez-itz Boxset Batman Harley QUINN ! NEW!! !